All parents understand all about sleep deprivation. They also understand that it is part of the job of becoming a parent. Unfortunately there are no magic tricks to get your child to sleep well. Some sleep very well from day one and others just don’t! But as a parent if you can make your child as comfortable as possible when it is bed time then that is what is most important. Here in the Baby Shop at WWSM we have many bed time products designed to aid a restful night of sleep for both child and parents. The bed time products have been divided into categories on shelves; please see below for a more detailed look at what we have to offer on these shelves. You are advised to keep your baby in your bedroom to sleep at night for at least the first six months; after they are in their own room and also for nap times the products on the Baby Monitors shelf will be invaluable. These days there are so many different types monitor but at the end of the day they all do the same thing, provide reassurance to a parent. We stock Baby Monitors from Tomy and Fisher Price. We also stock bed guards to give you extra peace of mind. 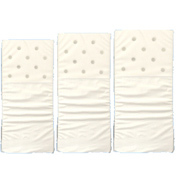 These are very useful when your child first moves into a big bed. 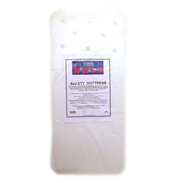 The guards are very easy to fit and will ensure that your child stays safely in bed at night. On the Cots, Beds & Cribs shelf you will find a selection of beautiful cots and beds and cribs. The Morston Pure White Drop Side Cot Bed by East Coast is so simple and will love wonderful in any nursery. We also have Cot Rail Teethers, to stop little teeth from sinking into cot bars! Don’t forget to take a look on the Mattresses & Pillows shelf for the correct mattress and/or pillow for your new cot, bed, crib or Moses Basket. They are available in different sizes and shapes. On the Nightlights shelf you will find a selection of nightlights to use in a bedroom, on a landing or somewhere else. 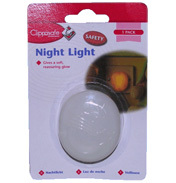 We stock the very simple Clippasafe Night Light that can be plugged directly into a plug socket, turned on and will create a soft, warm and comforting glow. 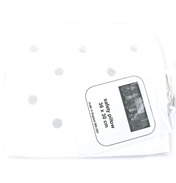 We also have the Grobag Egg which is a room thermometer with a digital display as well as a night light. The night light actually changes colour depending on the temperature of the room. We really hope you enjoy looking at all of the Bed Time products we have to offer here in the Baby Shop at WWSM and hope that you can find just what you are looking for.